Maintaining a flat commercial roof is easier when you have a professional team on your side. At Tim Leeper Roofing, we understand how important your roof is to the success of your business. You need a roof you can depend on to protect everyone under it. If you have a flat commercial roof, we can help make sure it stays strong with a coating that will last and be cost-effective for you. In our last blog, we shared the pros and cons of spray foam roof coating. Today, we want to move on to silicone coatings. Silicone roof coatings have been around for a long time. If you have a sprayed polyurethane foam (SPF) roof, chances are good that it has a silicone coating over the top. SPF roofs are permeable, and they need a layer that can shed water. If you live in an area with high UV exposure and extreme temperature ranges, a silicone roof is a great choice. It can stand up to a lot of abuse, which is one of its most powerful advantages. If you decide to get a silicone coating on your roof, keep in mind that it’s a slick surface, which means that if it needs repair, only another coat of silicone can be applied. You don’t want to put it somewhere very visible, because it picks up dirt very easily. It also has trouble standing up to abrasion, so if you know the roof is going to get a lot of traffic, try a different kind of roof coating. Remember that your building’s roof is crucial to the structure’s survival and health. 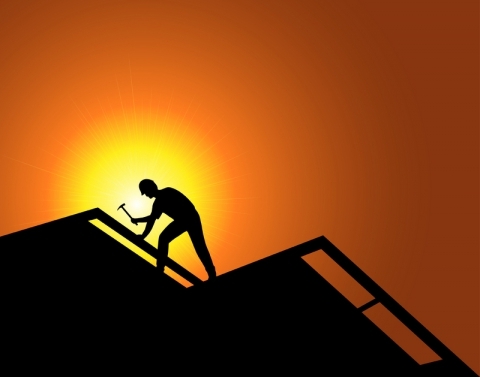 The team at Tim Leeper Roofing can provide honest, skilled roofing services you can depend on. We are honored to be Nashville’s most trusted team for residential and commercial roofing.